COMPLEX SAYS: The oldest derby in continental Europe began in 1896, but has taken on a few guises since then. The Communist government was wary of Slavia, with its fanbase of intellectuals, and forced them through a few name changes (Sokol Praha 7 and Dynamo among them); meanwhile, Sparta were feted and only grew in power. Since the collapse of the Commies, the rivalry has regained its competitive edge. 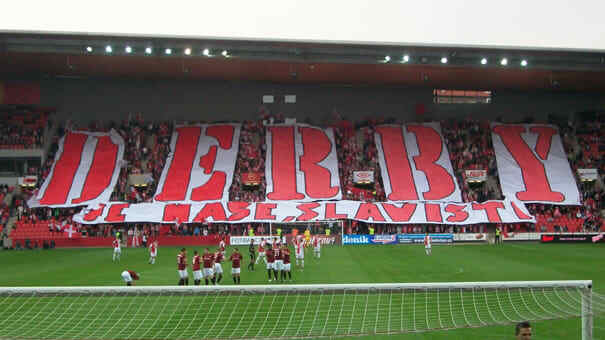 MEMORABLE MATCH: March 29, 1896, Slavia 0-0 Sparta. The first-ever Derby S was watched by an estimated 121 people. Sorry, no YouTube footage.